Government has called on the Police to immediately identify perpetrators of political violence from both the ruling Patriotic Front and the opposition United Party for National Development. Chief Government Spokesperson Dora Siliya says there is need for the law to deal with all perpetrators of political violence. 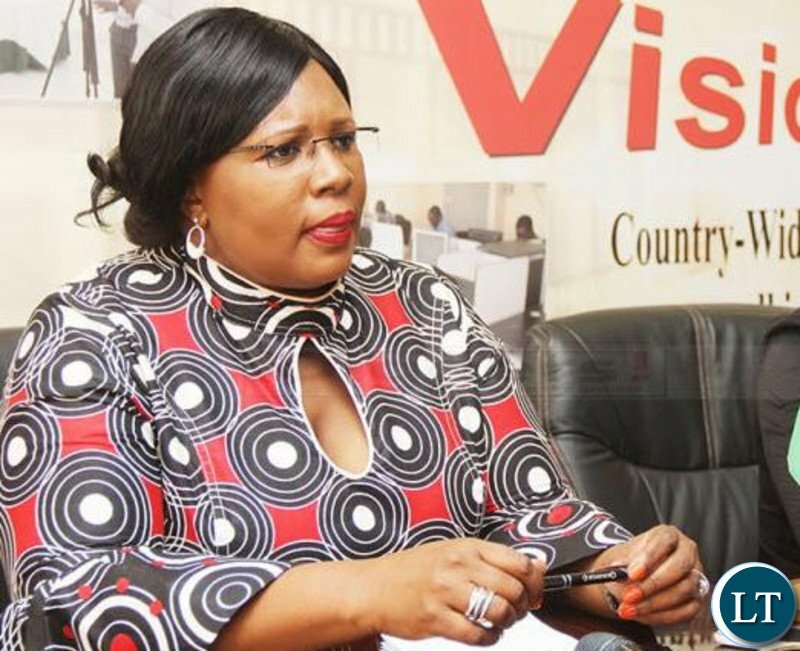 Ms. Siliya who is also Information and Broadcasting Services Minister says President Edgar Lungu has made it clear that he will not protect anyone that will be found instigating violence. She has also condemned the beating of a female journalist of Breeze FM by Political cadres in Lundazi. Meanwhile Ms. Siliya said government is concerned with the use of excessive force by the Zambia Police Service on citizens. And the Media Institute of Southern African Zambia has also condemned the attack on Breeze FM Journalist Grace Lungu by alleged Patriotic Front cadres in Lundazi yesterday. Grace Lungu who was assigned to cover the Mkomba ward by-elections was attacked together with a taxi driver and her personal belongings confiscated on suspicion of being United Party for National Development cadres. MISA Zambia Vice Chairperson Hyde Haguta is saddened by such attacks as they create an unconducive working environment for the media to carry out their duties. Mr. Haguta said the Media is a tool for National Development, as such they should be given leverage to carry out their duties without fear or intimidation. He has also reminded all political players and the general public that the Media is not the enemy but rather a stakeholder in the development of the nation hence they should desist from attacks on the Media and allow them to operate freely. we know that Kampyongo is the one protecting PF thugs. this is not right. Violence is violence. Remove the term “Political” and let the dogs pushing for this be dealt with. Erections are over Dora. So leave HH alone, he needs time to rest with his Mutinta. By-the-way, violence perpetrators are in hospital after being beaten and assorted viciously by ZP. Unless you want to identify the brutal officers… but fyalibaponona!! By-the-way, violence perpetrators are in hospital after being beaten and assaulted viciously by ZP. Unless you want to identify the brutal officers… but fyalibaponona!! Dora Siliya knows the pepetrators as they were caught with pangas and some holding pistos. If Dora doesn’t know the pepetrators are ask Kampyongo who brought them to Sesheke. In helping to identify those thugs No:1 is Steven Kampyongo and 2.Sunday Chanda they will lead you to the rest of thugs afterwhich you can report to president Lungu who appointed Kampyongo to preside over those criminal PF thugs. IG Kanganja MUST resign or fired. He is too weak to run ZP. He failed to bring order in one constituency how can he manage critical incidents? From the time he was appointed he has been working at the command of PF. Kampyongo must be fired or be given a small ministry such as Chiefs one. Whoever appointed Kampyongo did it with intent to torture Zambians knowing his background as fake currency changer in Katondo street. What a hell can the president appoint such a person to a sensitive Ministry. Davies Mwila, Sunday Chanda, Antonio Mwanza and Lusambo maybe tried with gardening at state house we are tired with the conduct of these thugs. Now we know why president Lungu, PF and ZCID are allergic to issues of dialogue. They shun doalogue because they cannot accept why people should discuss peace what will the do with pangas in their homes, what will they do to the well instructed thugs recruited to cause trouble during election. Christian for Lungu please interceed for these thugs and tell them we are all Zambians. Kampyongo is a wrong chap to be incharge of police now cadres and police are one and the same. They brutalise people with impunity. Those cadres who attacked a vulnerable female journalist had the blessings of Kampyongo and Minister without portifolio Davies Mwila. Sad indeed! Let us remove ecl and hh. Thats the answer. iwe Dora, do you understand the history of PF? PF is the peaceful party. Dora remember peaceful PF when mmd stole presidential poll from President Sata. Upnd characteristically violent and tribal under hh, they are so very angry people because they want to rule. They are rolling like a lion in a small territory wanting to devour PF. And you PF stop embracing thugs they won’t win you an election. The worst thing is all thugs in Zambia are very dull people with very waterly brains. Let’s allow the rule of law enforcement to deal with thugs. Jail them regardless of their party affiliations. Zambia has alot of institutions that are useless. MISA Zambia should not only end at condemning cadres beating Journalist. Why not private prosecute these cadres. What did MISA create the Media Legal Defense Fund that is well financed by donors? Meant why did MISA create the Media defence Fund? Dora it is mind boggling how you can send out such a hypocratic message when you know that the trouble makers are PF. Why is there no control over these paid jobless cadres that are used like toilet tissue? Send them to dubai as the PF has created jobs there. Why must ruthless cadres be transported from Lusaka to beat up and terrorise innocent unarmed people. Shame on you Dora your day of reckoning will be on you soon.Also to add insult on injury you people allow them to dress up in a uniform that was once respected and arm them ZP was once a very respected unit but now people have lost hope and respect for it. Now that .PF cadres have been beaten by police, the government is paying full attention. When PF cadres were terrorising innocent citizens, the government was mute. Why???? UPND and PF cadres, daft enough to be caught out! UPND are celebrating today because their tribal hold on their regions has rewarded them with a win. Redraw the provincial boundries to mix in some ZAMBIANS from other parts. Dora PF is too frightend to take control of the situation in those provinces which are now so out if control. The Journalist in Lundazi has fallen victim to PF trying to control their patch. ‘My Patch,’ politics are unfortunately the only viable option unless you ban tribal UPND. You must deal. PF fear the glare of interfering Western bodies because of Aid dependency. Dull dude abroad, composition of PF cabinet is almost 100% Northern and Eastern and almost all subsequent appointments have been from Eastern and Northern. To your atom sized brain somehow this is not tribalism but a party that has diversity like UPND is the tribal one? Can your dull little mind please explain the logic you are using? Thanks dude. The perpetrators are the pf police cadres.Whom do you want to blame iwe Dora Siliti? For starters, there is a Sesheke motel guest list of those thugs in hospital, the person who paid for their transportation from Lusaka, lodging and bought them machetes, then get to Mkomba ward in Lundazi and follow up on those who were hacked, luckily the hospital has the medical reports, Initially, the Police Officers were running away from complainants. This government is deliberately putting a wedge between the police officers and the community. It now takes the reaction of the whole world for this government to pretend they are determined to restrain political violence, they are not moved by the loss of innocent blood. This is the worst government ever since 1964. Ba Hon Dora Siliya, please call a spade a spade, why are you talking in parables? As Government, you know the political party that is perpetuating and causing the violence like there are no law enforcement agencies, its UPND and HH period. And all this nosense is happening whenever elections or bye -elections are taking place in Southern and Western Provinces. In the meantime, when bye-elections are in the PF strongholds, you are giving UPND and HH space to freely campaign and slowly get some of your votes, lwenu. You mean you cant see the strategy by the desperate HH? Wake up or it will be too late!!!!! Obviously, Malinso you’re not in Zambia. We know what we have witnessed. Dora you sent cadres from lusaka to sesheke with pangas. Just seat down and shut up.